Three years later and the forces of repression still tremble before the memory of the 65 year old wife, mother and school teacher. Watching Laura Inés Pollán Toledo in the video below and one begins to understand the existential threat she and the Ladies in White represent to the totalitarians in Cuba. 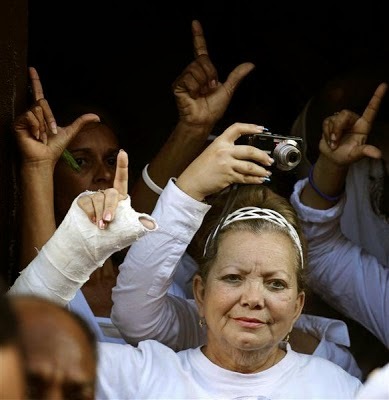 She was a former school teacher turned human rights defender and international pro-democracy figure who courageously and nonviolently confronted Castro's half century old totalitarian dictatorship and paid for it with her life. 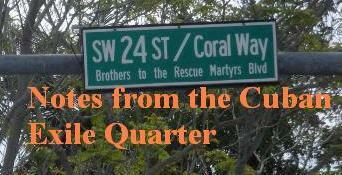 Today at 12 noon at the Shrine of Our Lady of Charity (Ermita de la Caridad) located at 3609 South Miami Ave. Miami, Fl. 33133 will have a special Mass for Laura Inés Pollán Toledo and one can expect activities around Cuba in her honor. Human rights trends in Cuba remain troubling with violence against activists on the increase. Women in Cuba continue to be targeted with violence for expressing their opinions and often times around the world, people who should know better, are unaware of what is taking place and celebrate the regime's treatment of women. The third anniversary of Laura's passing coincides with the Forum 2000 gathering in Prague and listening to the voices of courageous activists from China, Cuba, Ukraine, Russia, Venezuela and elsewhere demonstrates that her cause of freedom spans the world. At the same time tonight at Casa Bacardi at 7pm Ángel Carromero will be presenting a book on the events surrounding the deaths of Oswaldo Payá Sardiñas and Harold Cepero on July 22, 2012.